It’s easy to feel daunted by the process of finding a good plumber in your area. You want to make sure they’re experienced, qualified and trustworthy so you can get the very best value for your money. 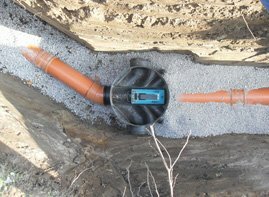 With Urban Tide Plumbing, we offer highly affordable services that meet every standard for quality and consistency. Using top of the range technology, we always make sure the solution we provide will last you for years, not just weeks or months. For us, no matter whether the plumbing job is big or small, the focus is on providing quality and satisfaction to each of our valued clients. And for those unpredictable times where you experience urgent plumbing problems, our 24/7 emergency plumber can ensure everything is taken care of quickly and effectively. Just give us a call on 0411 218 654 to organise a free quote or book our emergency service. Blocked drains can be a massive cause of inconvenience to any homeowner or building manager. Not only can they do extensive structural damage if ignored for long enough, they can make your Rowville property unhygienic and unpleasant to be in. So of course, you want to ensure that your environment remains healthy and clean at all times. To do this, all you need to do is call Urban Tide Plumbing, the ultimate way to fix your blocked drains. With years of experience in drain cleaning, we are committed to providing exceptional customer service – including a quality cleaning service – at an affordable price. Using state of the art cameras to inspect where the blockage is coming from, we avoid the often time-consuming and expensive process of digging up the entire pipe. We also have a high-powered hydro-jet to clear all blockages from the drain quickly and easily, ensuring the job is done in no time at all. So, no matter whether it is small or big blockage, you can count on our team to provide a reliable service every time. On top of our drain blockage solutions, we are proud to offer a vast array of other professional services. Our expertise and years of experience allows us to tend to your problems with ease, regardless of what they might be. Not to mention, we always offer the most competitive price possible to ensure your plumbing doesn’t cost you a fortune! So, if you have any problem with the plumbing in your Rowville commercial or domestic property, then pick your phone and give us a call on 0411 218 654. Our team of professionals can help you book our emergency plumber in Berwick, Beaconsfield, Narre Warren, Endeavour Hills, Lynbrook or organise a free quote.